A STARDANCE SUMMER captures the array of emotions that come with struggling to find yourself, letting go of a dream and starting afresh; and Eternity Springs has a proven track record as the perfect place for healing and new beginnings, especially for those who have lost their way or have completely given up. This is the perfect summer read for any fan of contemporary romance or women’s fiction. Liliana Howe comes from a family of overachievers and has always struggled to measure up. At a crossroads in her life and unable to find support from her family, Lili must decide her own fate and chart her own course, but first she needs a break from life and joining the all-female camping club, the Tornado Alleys for an extended summer vacation is the way to go. But Lili’s vacation is not exactly what she expects because of the surprise she finds on vacation: her childhood crush and a chance for a guilt-free summer fling. Brick Callahan enjoys his life in Eternity Springs, even though he has pretty much given up on relationships and limits his entanglements to three dates max per woman. Having Lili show up at his campground, all grown up and so gorgeous is going to test his restraint and the bro code, but Brick still has the scars from being burned in love and is not interested in going back for seconds. I enjoyed reading this book a lot and not just for Lili and Brick’s romance and everything that came with it. I enjoyed the other characters in the story and their own paths, as well as the many lessons the story gives us. One thing is certain, life is a cycle and people pass through each other’s lives for a reason. This book will resonate with readers and leave them assessing their own lives, as well the connections they have formed with others. The biggest takeaway for me was that we are in charge of our own lives, choices and happiness, and are the only ones who can make the decisions that bring us the best life has to offer. It was great catching up with characters from previous books and I look forward to what Ms. March has in store for us next. 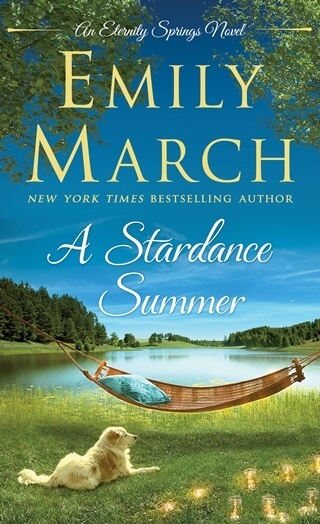 Emily March is the New York Times, Publishers Weekly, and USA Today bestselling author of over thirty novels, including the critically acclaimed Eternity Springs series. Publishers Weekly calls March a "master of delightful banter," and her heartwarming, emotionally charged stories have been named to Best of the Year lists by Publishers Weekly, Library Journal, and Romance Writers of America.